Broken audio in Ubuntu 8.10 Intrepid Ibex? Ubuntu 8.10 uses the PulseAudio sound system which may result in audio playback problems with some sound cards. 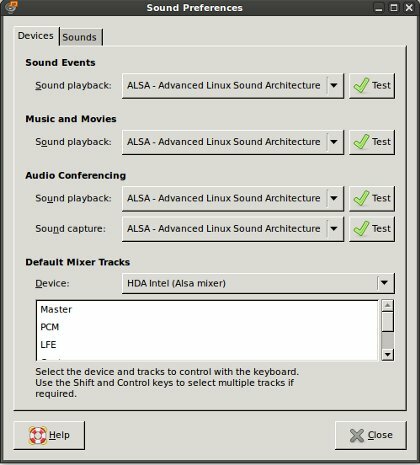 A solution that worked for me is to go to your System menu, Preferences and Sound to bring up the sound menu and change all settings to use Alsa for playback as shown in the screen shot. Your audio playback should now work. This page was last edited on 27 February 2017, at 12:45.